If you're making plans to move to Spain, you probably have a lot of things on your to-do list. Moving to another country can be complicated! No matter how many things you have to do, though, you shouldn't forget to research health insurance coverage before you leave. The good news is that Spanish health care is excellent and you're probably already eligible for coverage. Whether you're planning on making Spain your summer home or permanent residence, make sure you read this guide to health insurance in Spain. Who Is Eligible For Health Insurance In Spain? If you plan on working in Spain while you're there, you'll be automatically eligible to partake in the Spanish healthcare system. The income taxes and social security that you pay will cover your free public healthcare. Your spouse and children will be covered, too, as long as they're also in Spain. EU and Swiss nationals who have reached retirement age don't have to continue working to earn the right to free healthcare. UK citizens need to acquire an S1 form to prove that they're eligible, but then it's simple to register for coverage. If you're only planning on staying for a short period of time, your European Health Insurance Card will prove that you're entitled to the same public healthcare as Spaniards. If you're employed in Spain, you should be assigned to a Spanish social security number. You'll need this when you register for coverage. People planning on becoming full-time residents should register their address at the local town hall to get a certificate of registration. You'll use this certificate to apply for your healthcare card. In Spanish, it's called a Tarjeta Sanitaria Individual, abbreviated TSI. Freelancer, or planning on being self-employed? You'll have a few more hoops to jump through, but self-employed UK citizens can also access public healthcare. You'll need to go to the local Social Security office to get sorted. Make sure that you keep a close hold on your TSI. You'll need to present it any time you head to a pharmacy (farmacia) or use public health services. If you go to a primary care doctor or to a hospital, this will prove that you have coverage. It'll also help to offset some of the costs of prescription drugs, though these tend to be quite inexpensive anyway. Short-term residents should carry their EHIC like a regular health insurance card. It will save you a headache if anything should happen. 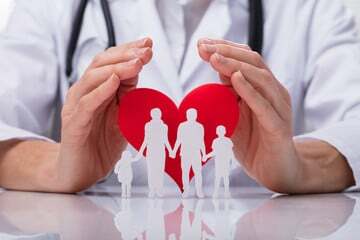 Both EU nationals and Spanish citizens can choose to purchase private health insurance in Spain. Even though the public services are great, they sometimes have long wait times and lines. If that's unappealing to you, private insurance might be worth it. The public healthcare system also doesn't cover dental care, so private insurance is necessary if you anticipate needing to see a dentist. There are a variety of private insurance companies in Spain, so you'll be able to choose a company and plan that works best for your needs. The last thing you want to be worrying about in the beautiful country of Spain is healthcare. Luckily, health insurance in Spain is easy to come by. Looking for more advice about living in Spain? We've got you covered. Read the rest of our guides to Spain.